One of my favorite things about summer is berry picking! We live in a pretty perfect area for berry harvests as far as growing conditions go, and I take advantage of it! 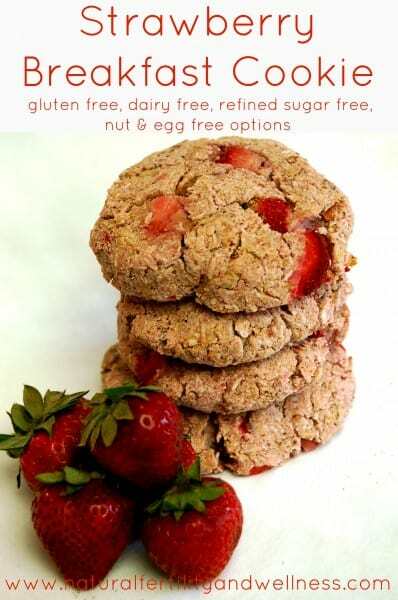 Especially because I love my strawberry breakfast cookies! Just about every month from June until September a new harvest arrives from June strawberries to late August and September raspberries. By the time fall arrives, I have a freezer full of various berries to last us through winter. 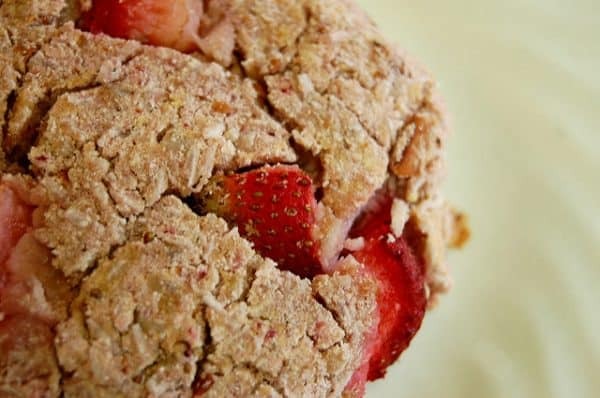 Hopefully, we will start seeing strawberries pop up here soon, and besides freezer jam, dehydrating some, and freezing them for smoothies, I’m planning to make a few batches of these breakfast cookies. I took my original breakfast cookie recipe and made it fit the season! They turned out so great, and they individually wrap up for the freezer so good! Perfect pull out breakfast on the go. Happy berry season to you! Combine everything EXCEPT the chopped strawberries in a medium mixing bowl. 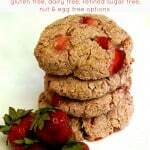 Grain-free version - use ¼ cup blanched almond flour or another ¼ cup tapioca flour instead of white rice flour. Egg-free version - use ½ cup applesauce, banana, or egg replacer. Nut-free version - use ground sunflower seeds instead of almond flour. Need more recipes for strawberries?